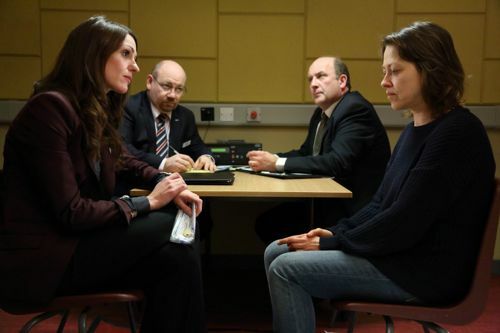 SCOTT & Bailey series three begins on ITV at 9pm this Wednesday. I’ve seen the first four episodes (of eight in total) and all involved have raised the bar once again. For what it’s worth, I think it’s the best series yet. It was my pleasure to carry out the cast interviews for ITV’s Production Notes / Press Pack. As I did for series two. 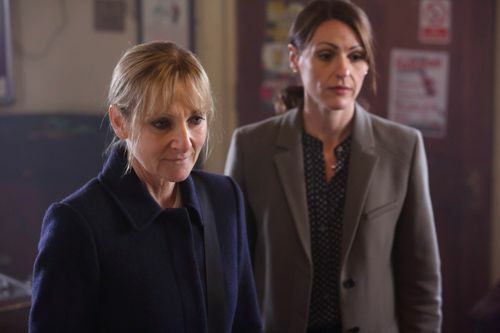 For Scott & Bailey 2013 I spoke to Suranne Jones (D.C. Rachel Bailey), Lesley Sharp (D.C. Janet Scott), Amelia Bullmore (D.C.I. Gill Murray), Nicola Walker (Helen Bartlett) and Tracie Bennett (Sharon Bailey). My interview with Danny Miller, who joins the cast from episode four as D.S. Rob Waddington, will be released nearer his screen arrival. Along with some other extra material which must remain under wraps for now. 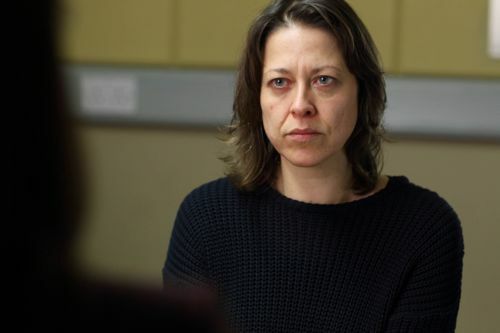 Nicola Walker as Helen Bartlett. 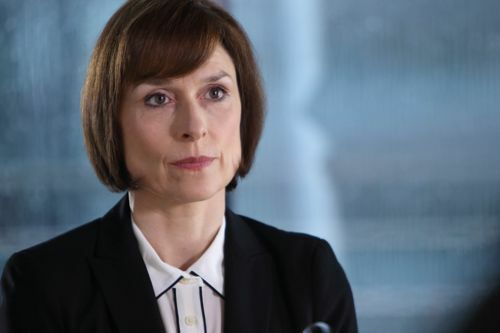 Amelia Bullmore as Gill Murray. Posted in News and tagged Danny Miller, ITV Drama, Lesley Sharp, Nicola Walker, Sally Wainwright, Scott & Bailey, Suranne Jones, Tracie Bennett. Bookmark the permalink. THANK YOU, Ian, for the cast interviews, especially the one with Nicola. I am so pleased that she is able to play such a wide range of roles in the last two years, after playing the same character (more or less) for over 8 years on that other show 🙂 . Can’t wait to read what other goodies you have for us as and when these become available. I’m a little disappointed that in our little poll on the NW fansite, most fans seem to have made up their minds about “Helen Bartlett”. IMHO, “Helen” has got to be a multifaceted character, otherwise, they wouldn’t have hired Nicola to play her. Cheers! Fantastic Interviews; I look forward to seeing the Danny Miller interview when it’s up. The new series sounds brilliant really looking forward to it! There should just be a whole thread dedicated to Nicola Walker’s extreme awesomeness. Her performance in 3.01 literally had *me* not-breathing for whole moments at a time. Incredible work. This show is wonderfully well done and I’m just so pleased it’s back! Thx for the coverage.